We've been enjoying this area for the past couple days, but mostly we've been working and not taking very many photos. 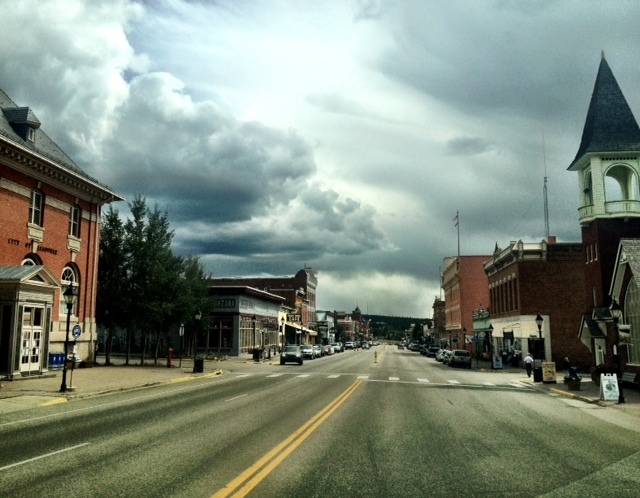 Here's downtown Leadville taken with my iPhone while driving. Last night we met some new friends/blog readers Debbie and Glen. They just bought their first Airstream and had a few questions for us. We met at our Airstream and chatted a bit over a beer, then headed over to the Pastime Bar on 2nd Street for burgers and fries. This place is a real gem. The saloon was founded in 1878. 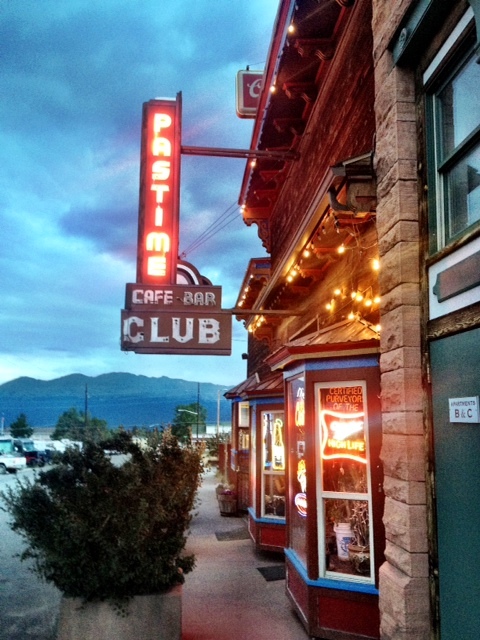 Originally it was the Oro City Chinese bar and was Leadville's official bordello and has (of course) a pretty racy history. It's now a full bar and serves really good burgers and fries (and chicken wings, but we didn't have any of those). Kevin and I both had the jalapeno burger and it was great. I think we should go back and have a drink at the bar sometime while we're here. So far our spot here at Sugar Loafin' has been wonderful. 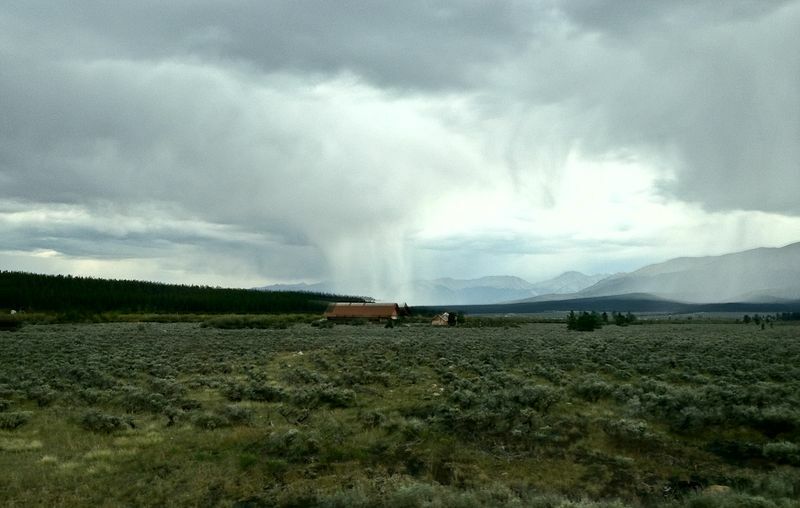 Great views of the mountains, dramatic afternoon thunderstorms, beautiful sunny days. We haven't had neighbors in either spot directly next to us until last night. At about 11pm we heard an awful lot of noise outside and I peeked out the window and saw a truck with a trailer trying to back in to the next spot. There were about five men with flashlights all talking to each other at full volume while the diesel rattled away. Our tiki torches were flickering nicely while the mayhem beyond them looked like longshoremen offloading a container ship in the middle of the night. Stabilizers, hookups, and slideouts, oh my.